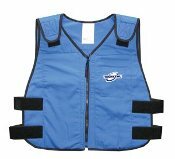 Phase Change Dry Cooling Vests by Techniche maintain a comfortable 58 degrees F (14 degrees C) for up to 3 hours of critical heat stress relief. 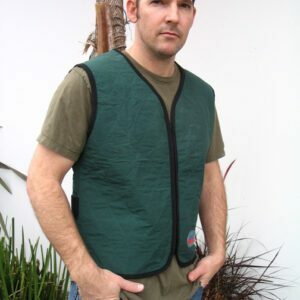 Phase Cooling Vests are more bulky than evaporative cooling vests, and are great because they hold a steady cool temperature for a long time. 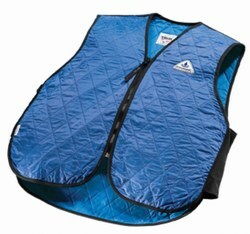 These can be the best choice if you will be faced with extreme heat that would dry evaporative vests more quickly. Contact us for quantity purchases. These are often used in hot factories. 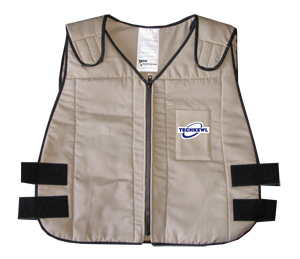 Phase Change Cooling 6626 TechKewl Standard Phase Change Cool Vests come with a set of inserts. Additional sets are available. See accessories for an extra set of cooling pack inserts.